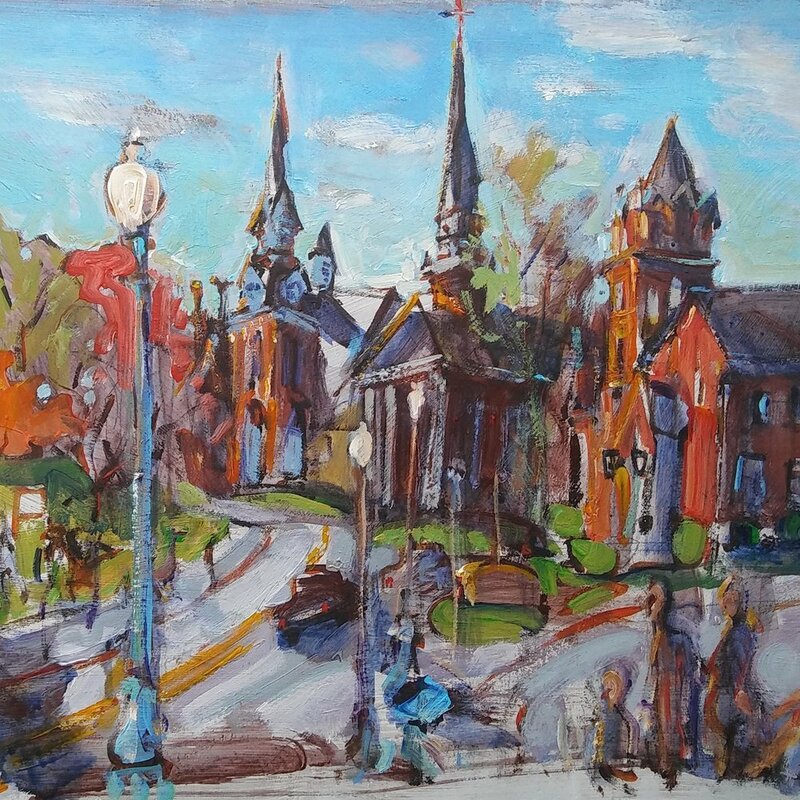 Warmth of Outsiders, Acrylic, 12" x 20"
Directions: From the SC State House, take Main St. north to North Main St. After three miles, veer left onto Hwy 215/Monticello Rd. Cross I-20. After Richardson Construction, studio is in second house on the right.